Riding on unfathomable volumes of industrial expertise, we are providing a broad array of High Alumina Fire Bricks. Our firm is providing High Alumina Fire Bricks. Our presented products are employed in the market for various purposes. Size (Inches): 9 In. X 4 In. X 3 In., All Sizes Available As Per Customer Drawing, Requirement , 12 In. X 4 In. X 2 In., 9 In. X 3 In. X 2 In. In this group Different Quality (Alumina Content) and Different shapes available depending upon the Customer Drawing. As per the varied requirements of our esteemed clients, we are offering a wide assortment of High Alumina Fire Bricks that are used in lining furnaces, kilns, boilers, etc. 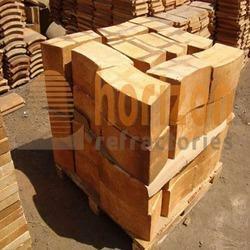 We are one of the proficient manufacturers and exporters of Fire Bricks And High Alumina Bricks. These refractory bricks, fire brick are manufactured in conformation to the international standards and are stringently checked by our team of quality controllers for precision, quality and flawlessness. We are a one of the leading suppliers of Fire Bricks; we provide wide range of high quality fire bricks, which is widely demanded for their high strength. The offered bricks are manufactured using high-grade material and advanced techniques, thus complying with the international industry standards. 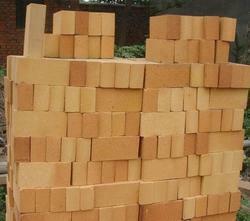 Our array of bricks is extensively used as lining in fireplaces, fireboxes, furnaces and kilns.